Located near the Bulgarian resorts with the best beaches – Sunny Beach, Nessebar, Ravda, St. Vlas, Pomorie, Primorsko, Sozopol, Kiten, Lozenets, you can visit by rental car from Carrent.bg. Bourgas is an important industrial center and transport hub and tourist destination and starting point for tourists traveling to the south Black Sea coast. Bourgas offers a dynamic life, large city beach, a seaside garden and a number of interesting museums. If you plan to visit Burgas and yet you have not booked a rental car, you may do so by using our booking form above. If Bourgas is the starting point of your trip, you can take your rental car from Bourgas Airport. 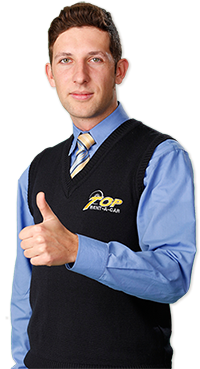 Top Rent A Car offers and deliveries of rental cars to Bourgas downtown and all resorts. The best time to visit Bourgas in the summer when the town center is alive with crowds of tourists heading to the sea park. The city will find both clubs, bars and discos, museums and interesting galleries. And if you are a lover of nature, Burgas will offer four lakes with protected species, which can be enjoyed in the vicinity. The best way to look at Bourgas is to hire a rental car.